For our team outing in May, Simply Good Times organised a multi activity afternoon to keep the Code 7 team amused, with a splash of competitiveness thrown in. 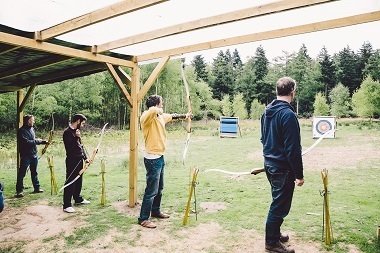 A picturesque woodland setting is perfect for shooting zombie targets and driving a land rover blindfolded! First up was the driving. We had to navigate a Land Rover round an obstacle course complete with crates and sturdier looking trees. It would be easy but was made harder by being blindfolded and relying on instruction from team mates. Swapping the words right and left for ruder versions added to the fun. Axe and knife throwing followed, Tristan's computer game skills came in useful here. We finished up with some Archery and a competition of Archery Tennis, then some air gun shooting. 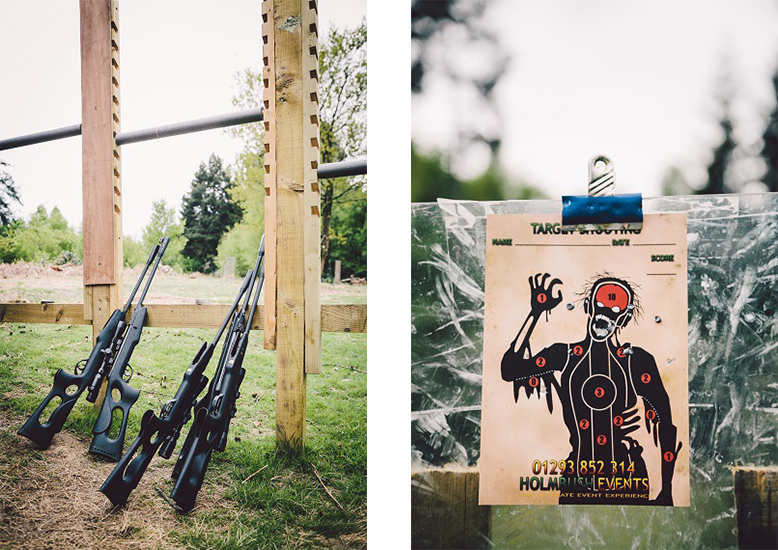 My favourite target was the zombie, and surprisingly everyone performed better without telescopic site. A great day courtesy of Tom at Simply Good Times, read about their web site build.